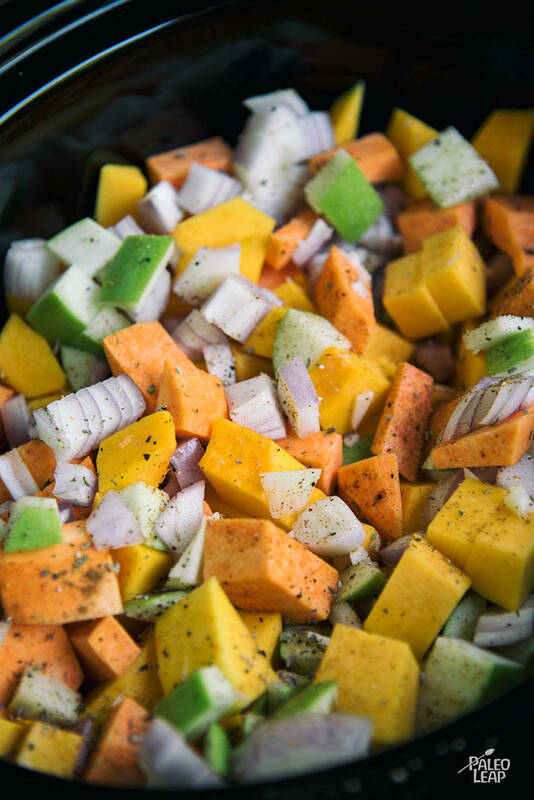 A slow cooker is a Paleo-eater’s best friend. This sweet, creamy and aromatic soup takes full of advantage of all that the slow cooker offers — a slow, moist heat with a hands-off approach to cooking. The addition of coconut milk makes this pureed soup very rich and satisfying. 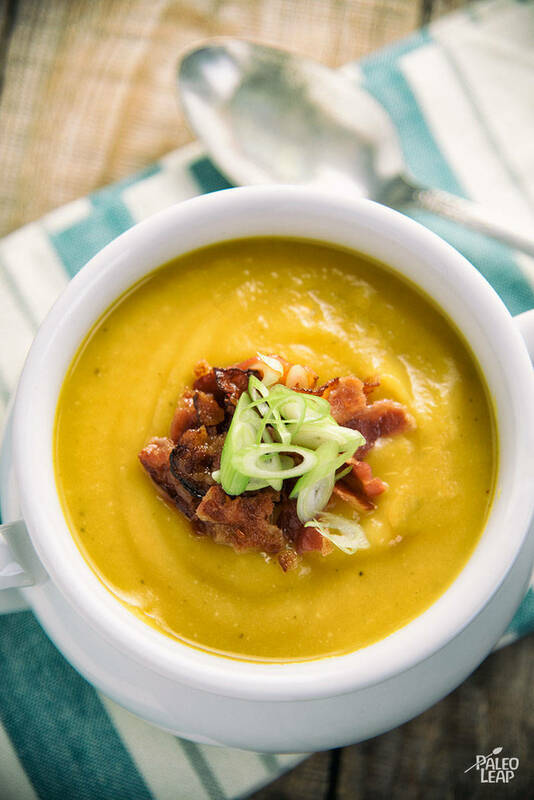 Plus, because butternut squash is a hearty starch and the coconut milk contains healthy fat, this soup will keep you satisfied, even if you have it on its own. While this recipe can seem quite fancy, the ingredients and cooking process are last minute-friendly. Winter squashes like butternut squash keep for a long time. So, if you have a butternut squash that’s been sitting on the counter for a week or two, just peel, dice and toss it in. Most Paleo kitchens have an onion and sweet potato handy, and the spices are common, too. Serve this for dinner with a bit of leftover protein and some greens, like a big, leafy salad. Drizzle coconut milk over the top and serve with crumbled bacon and sliced green onions, if you have some handy. Place all the ingredients in a slow cooker, except the coconut milk. Stir everything and cook on high for 3 to 4 hours, or on low for 6 to 8 hours. Remove the sage leaves, and pulse the butternut mixture using an immersion blender. Purée until smooth. Add in the coconut milk and pulse until well blended. Cook on high for another 20 minutes, season to taste and serve.